This is a fairly new addition to the boats of Dal Lake: the fast food pontoon. I thought it would be cool if it were mobile, kind of like an ice cream/snack truck might go around the neighborhood playing music. But no, it is more like a drive up. And it seems that plenty of shikaras are "driving up", 'cause it's a happenin' place. My favorite on their menu? The magi pakora. I believe that's supposed to be a reference to two different items: the pakora and maggi noodles (the ubiquitous ramen variety). If it were really a pakora eaten by priests, philosophers and sages, that would be something not to miss. 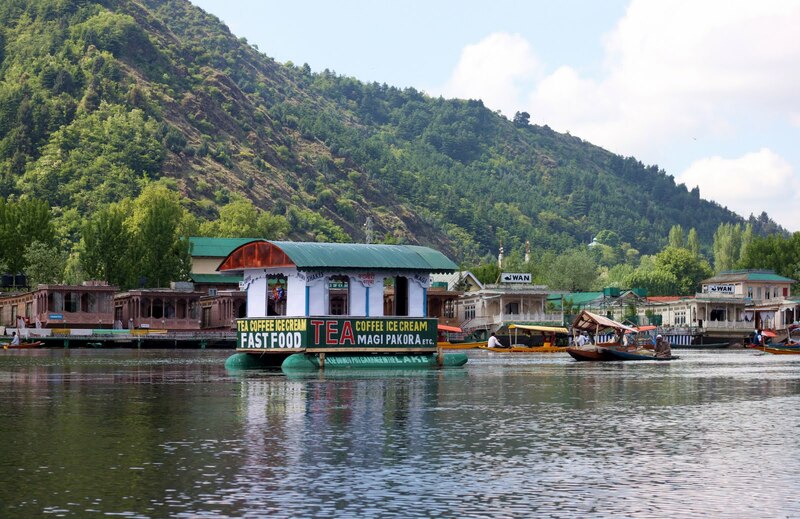 As it is, don't miss the fast food pontoon boat.